Beirut (AFP) - Jihadists on Thursday seized a gas field in the desert region of Palmyra, in central Syria, a monitoring group and the governor of Homs said. 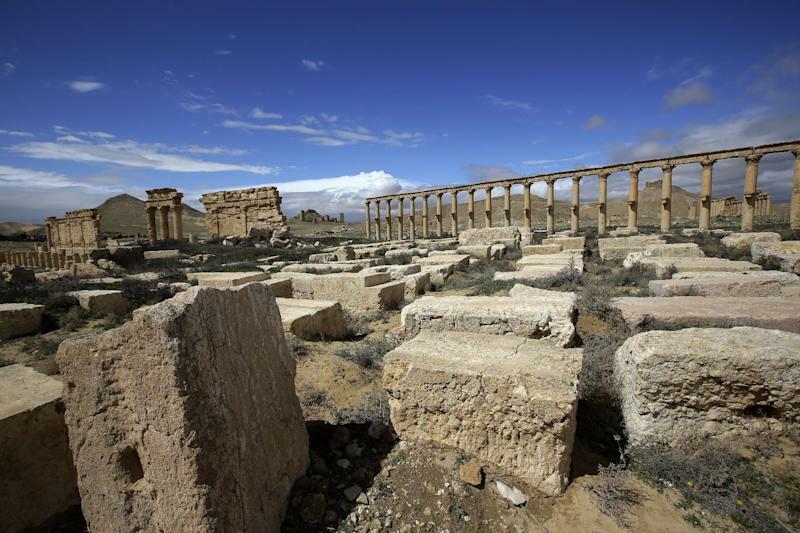 According to the Syrian Observatory for Human Rights, Islamic State (IS) fighters on Thursday morning attacked the Shaar gas field, east of the ancient site of Palmyra, killing 23 guards. "The fate of 340 National Defence Force (paramilitary) members, guards, engineers and employees who were in the field, is unknown, as they were either taken prisoner, wounded or captured during the operation," said Observatory director Rami Abdel Rahman. The operation, he added, was the Islamic State's "most important so far against the government" of Syria's President Bashar al-Assad. Abu Bilal, an activist linked to IS in Homs province, also reported the attack. Twelve members of IS had been slain in the fighting, he said, adding that "dozens" were killed on the government side. "There was a martyrdom (suicide) attack, and we took eight checkpoints before taking over the gas field," Abu Bilal said via the Internet. Homs governor Talal Barazi also confirmed the attack. "Armed men took control on Wednesday evening of the gas field, and we have lost contact with three technicians who were on the site," Barazi told AFP. "The armed men were present in the area beforehand, but they have now expanded their area of control with this new operation," he said. "The army is trying to take it back. There is fighting in the area and government air strikes." The Islamic State, which proclaimed a "caliphate" straddling Syria and Iraq last month, has in recent weeks taken over the entire countryside of oil-rich Deir Ezzor province. Deir Ezzor borders Homs province as well as Iraq, where the jihadist group has spearheaded a major Sunni militant offensive that has seen large swathes of territory fall out of the Iraqi government's control.